Like it or not, digital technologies are changing the traditional broker business model:New market entrants: A new breed of brokers , building their businesses on modern InsurTech products, are offering innovative services that meet client needs quicker, better, and at a lower cost. They’re using early successes in the SME market as a foothold to reach the bigger clients that many brokers have relied on for years. Carriers are going digital: Many carriers have re-engineered their business to offer new digital products, streamlined processes, and multi-channel communication. Brokers who can’t easily work with this changed approach are at a disadvantage and will gradually fall out of favor. Customer expectations are changing: Research has shown that over 70% of customers expect suppliers to tailor communications and services based on knowledge of previous interactions, and they want a frictionless experience — hassle free, no waiting, and self-service where possible. Revenue streams are no longer secure: For all these reasons, revenue and profit are under threat. Customers have more options for where to their business, carriers are reducing commissions, and the fast-paced, low-cost, tech-based brokers are targeting the traditional broker’s best clients. In a survey carried out by Accenture, eighty-four percent of surveyed insurance executives agreed that traditional organizations must evolve their business before they’re disrupted. The answer lies in harnessing technology to develop new, innovative ways of doing business. In fact, almost every part of the broker business model can be improved through innovation. Analytics also help find the best carriers for specific risks or customer needs and do so at a speed that outpaces even the most experienced brokers. Quote and bind is often a manual process, punctuated with frequent phone, fax, or email exchange between client, broker, and carrier. It’s time consuming, costly, and error prone. Contrast this with an automated process. Client data collected from earlier transactions is used to pre-fill much of the information needed at quote stage, and quotes can be generated almost instantaneously based on a rating matrix, meaning that risks are managed but not at the expense of speed or efficiency. Paperwork is generated automatically, and policies can be changed midterm if needed. And everything is mediated through a client portal so that broker and client can see progress in real-time. Streamlining collection, processing, and settlement of claims not only cuts costs but is one way of achieving the frictionless service mentioned above. Customers want claims settled quickly, easily, and accurately, but it’s difficult to achieve with a complicated mix of electronic and paper documents. Electronic channels make it easier for personal or commercial customers to send information, and automated claim management systems collect and check that everything is correct. Traditional document sifting is done away with and the broker’s back-office team is only involved if there are problems. Claim validation is being improved, too. Telemetry sensors in cars can provide evidence that supports a claim by tracking the journey and events immediately before a car accident, meaning the number of disputes can be reduced. While all brokers have established workflows for back office activities, legacy systems that aren’t integrated, or data that isn’t shared, means a lot of the work is done manually. Slow and resource intensive, manual processes are an obvious target for automation: a McKinsey report suggests that costs can be cut by 40 percent by automating 30 percent of operations. 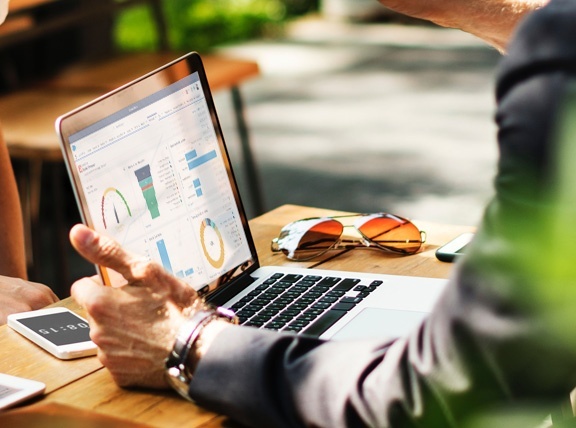 A good broker management system will integrate front office and back office functions, automate workflows, and free up resources to concentrate on customer specific, added value activities. As an example, Howden broking group increased their back-office efficiency by 60% When they moved to an integrated broker management system. Dashboards linked to automated processes allow management to view and act on key performance indicators such as performance by product and customer, salesperson profitability, bid-to-sale ratios, and operational costs by function, team, and location. Another tool that some brokers will find useful is robotic process automation (RPA), where software replaces employees for performing simple, repetitive tasks. Although they’re not a good fit for complex tasks or those where direct customer contact is preferred, they can make a real impact on costs. The Co-operative Bank, for example, improved process efficiency by 80% through the use of RPA and other process automation techniques. Being able to contact the broker quickly is one of the main contributors to customer satisfaction. While there are cases where digital channels won’t replace human interaction, there are other cases where it can and should. Secure portals give customers access to all their products in one place – no more phone queues or lost mail – and secure messaging, usable from any device, means they can start transactions or ask for help when it suits them rather than wait for the broker. Technical advances mean chatbots are now easier to use and cover a much wider range of interaction types. They’re becoming well established in the insurance industry - Allianz have Allie, Insurify has Evia, and Canadian insurer RBC has Arbie. Even simple chatbots can be used as a mechanism to nudge a customer into an automated claims process, for example, and discourage them from picking up the phone. Successful insurance distribution innovation requires a simultaneous change to people, process, and technology. While each are equally important, technology, as an enabler for all change, needs to be designed from the bottom up to support the digital brokerage. Adding a glossy veneer to old, outdated, technology or moving it onto a cloud-based platform might deliver benefits, but real change to the business requires real change to the technology used to run it. 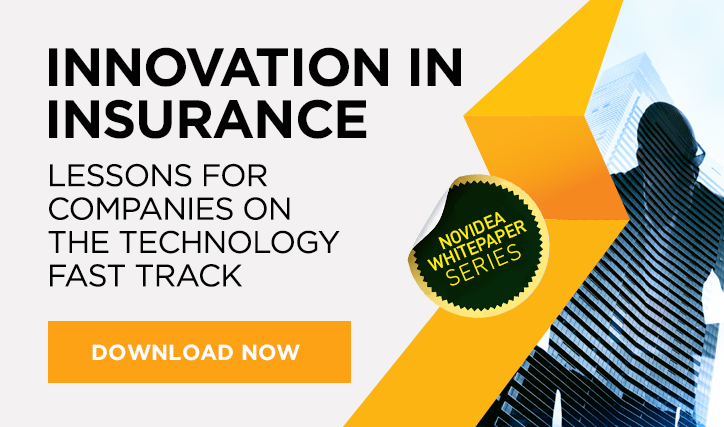 To find out more about insurance distribution innovation for growth, download our white paper.